Following the approach of John Sailhamer, Postell takes a text-centered approach. By this, Postell means “the text in its final form is the locus of meaning” (p55). This stands against the common attempt to find meaning through historical reconstruction of the event(s) lying behind the text. Rather, our source of revelation is the text of Scripture itself. The land of Eden foreshadows the Promised Land. God’s relationship with Adam foreshadows the Sinai Covenant. Adam’s sin foreshadows Israel’s failure to keep the Sinai Covenant. The argumentation for these points is too thorough to recount here. Suffice to say that Postell delivers on his text-centered approach. As an example, Postell considers Gen 1-3 as identifying the serpent as the “‘forefather’ of the later Canaanites” (p104). The parallels between Noah’s fall and Adam’s — “planting” of a garden, partaking of fruit, nakedness and covering — also connect the cursed serpent in Gen 3:14 with cursed Canaan in Gen 9:25. The serpent also foreshadows the Gibeonites in Joshua 9. Like Adam, Joshua is a royal figure called to subdue the promised land. However, the Gibeonites act “craftily” (Josh 9:4; Gen 3:1), deceive Joshua (Josh 9:22) and are cursed (Josh 9:23). As a result, they are humiliated like the serpent (Gen 3:14) and Canaan (Gen 9:25). Postell’s goal is to trace Gen 1-3 as introducing the Torah, but he offers some initial reflections beyond that. There are some indications that Gen 1-3 introduces the Tanakh (Hebrew Bible) as a whole. Support is seen in that Chronicles, as conclusion to the Tanakh, places high importance on Gen 1-3. Postell notes that the seams of the Tanakh (Joshua and Psalms) both begin with a kingly individual who conquers land. I found many of Postell’s suggested parallels convincing. The question that regularly arose is how should the parallels be considered? Are they intentional foreshadows, or backward allusions? Is Adam’s sin prefiguring Israel’s, or does Israel’s sin allude back to Adam’s? In many cases, this may seem like splitting hairs. However, I am concerned that seeing Gen 1-3 as introductory may downplay its importance and historicity, even functioning allegorically. If the serpent in the garden foreshadows the Canaanites in the land, this could relegate the former’s importance as merely introductory. I must state that Postell is conservative and this is not his own view, just a potential implication. I am also concerned that Postell may read a little too much of the later Torah details into the details of Gen 1-3, colouring the interpretation of the latter. For a fairly short book (204 pages), a large portion consists of introduction, a recounting of the history of scholarship on Gen 1-3, and Postell’s methodology (74 pages). This material is fitting for a dissertation, but for a published book, it was a largely uneventful chunk before the real meat began (around 70 pages not including bibliography, etc). Genesis 1-3 or Genesis 1-11? I wonder if it is correct to read Gen 1-3 in isolation from Gen 1-11, which is a clear literary unit. 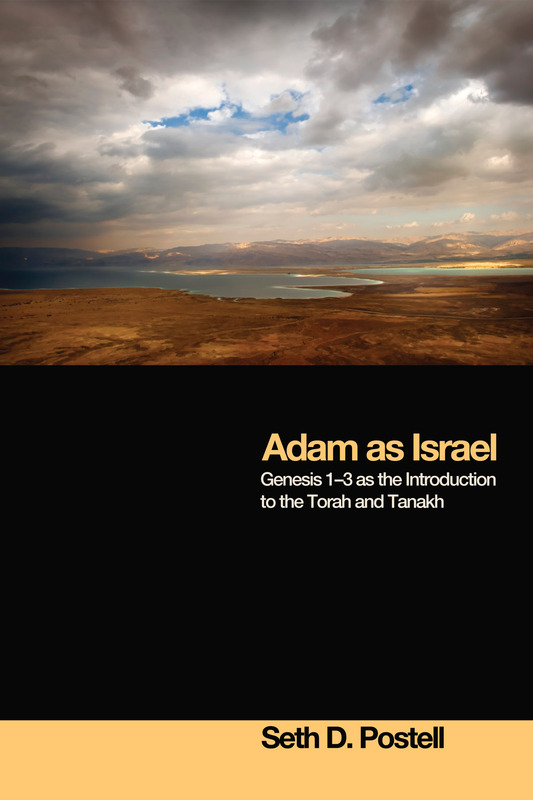 Expanding the horizon would allow Gen 4-11 to play a role as introduction to Torah and Tanakh. The “fall” of Gen 3 is only one of several fall narratives in these early chapters. For example, the call of Cain, the fall of Canaan, the fall of the Sons of God, and the fall of Babel. Postell himself notes that the Former Prophets end where Gen 1-11 end: Babylon. Of course, the wider horizon would have resulted in much greater workload for Postell! Since the solution for Adam’s sin is the redeemer in Gen 3:15, if Gen 1-3 serves as introduction to the Torah and Tanakh, then this messianic hope is only amplified as one reads. I find this largely persuasive.According to Postell, the Torah’s very beginning eschatologically anticipates Israel’s sin and need for a Savior. This is a very evangelical reading. The fascinating exegetical links are numerous, and whatever one thinks of his thesis, worthy of deep thought. Don’t let the book’s size deceive you, insights abound on every page (avoiding the first 74 pages!). A hindrance for casual readers will be the indepth exegesis, particularly when knowledge of Hebrew is assumed. I would highly recommend any serious student or teacher of the Torah read Adam as Israel. Many thanks to Wipf & Stock for providing a review copy of Adam as Israel.